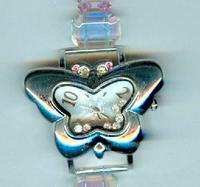 You'll always know what time it is with this butterfly wristwatch perched on your wrist. 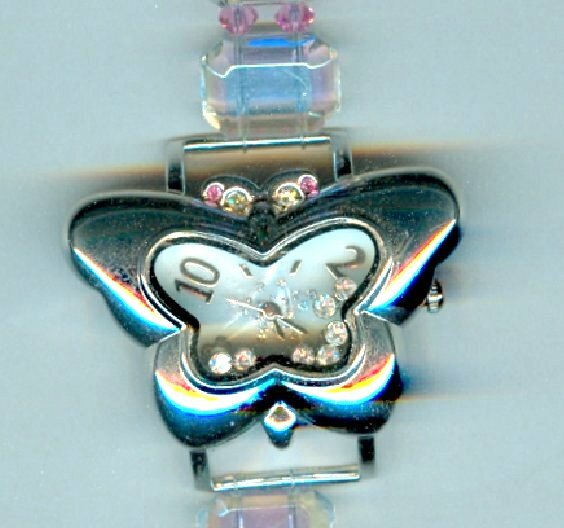 The butterfly-shaped watch face has several ?floating? clear rhinestones that shift as you move. 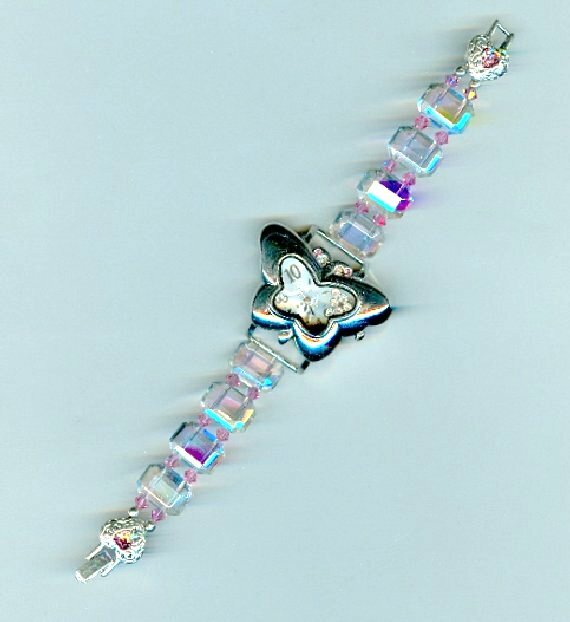 The ends of the butterfly?s antennae are studded with pale pink rhinestones, so I've matched that color with Swarovski crystal beads in the band of the butterfly wristwatch. The crystals space vintage West German double-drilled clear beads with a spectacular aurora boreale finish. The silver plate heart shaped-fold over clasp is set with a pair of matching pink rhinestones, too. 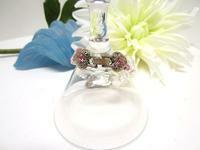 The overall length of the piece is 7-1/4". 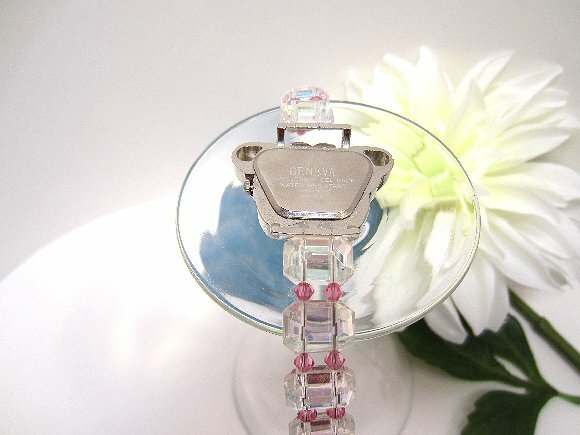 This unique and wonderful butterfly wristwatch is brought to you by SPARKLE PLENTY, of course.